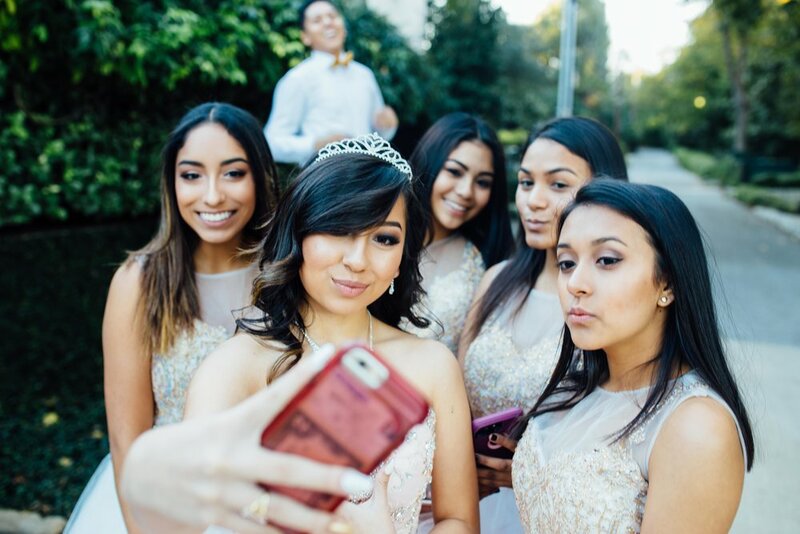 I was super excited when Gaby, Jackie's mom, asked me about shooting her daughter Quinceanera. I was a bit nervous because I never shot any Quinceanera session before. However, I know that shooting Quinceanera is more like a bridal session version of fifteen year-old girl. I couldn't wait to do the shoot. The shoot was very easy today even though it was pretty chilly and windy. Gaby prepared jackets for the girl to put on when they are waiting for the shoot. The Orgeta is a very supportive family. I met this family last year when Enrique sent me a request for a family session. One year later, I was the photographer of Gaby's wedding. As you can see from the pictures below. The photo shoot today could not be more perfect with out them. I'm also the photographer for Jackie's birthday party in December. I already know this party is going to be so much. I just can't wait!